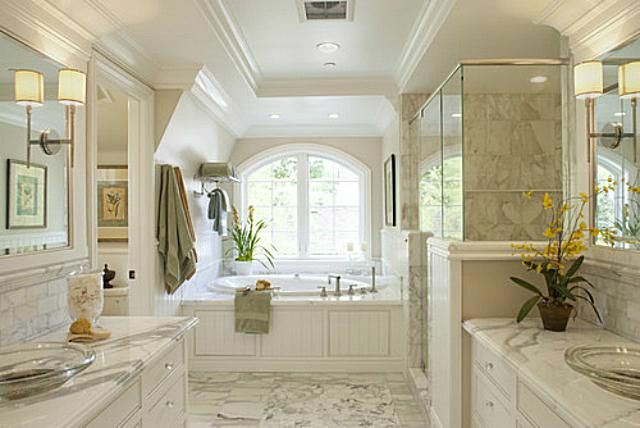 Looking for inspiration for your next bathroom remodeling, or simply want to look at beautiful spaces? We have fifty beautiful bathrooms for you. Let these beautiful bathrooms fuel your home decor dreams and renovation plans! Soak in peace in this white colonial bathroom. 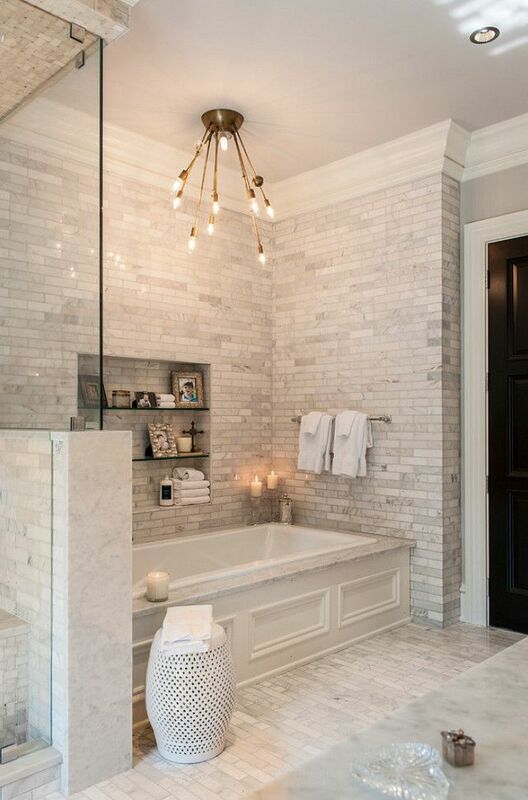 Featuring bold lighting, gorgeous marble tile, and clever storage space, this is somewhere we can all imagine ourselves relaxing after a long, hard day. 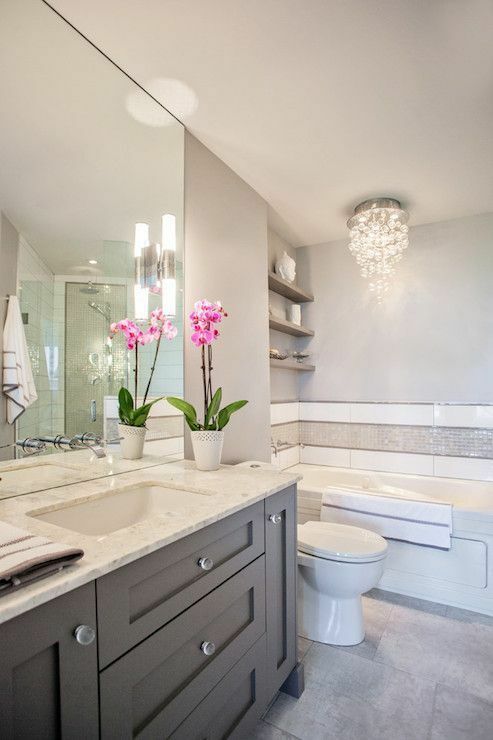 This white and gray bathroom is classy and elegant. The gray vanity makes all the difference, and brings out the gray and white mosaic tile in the bath area. 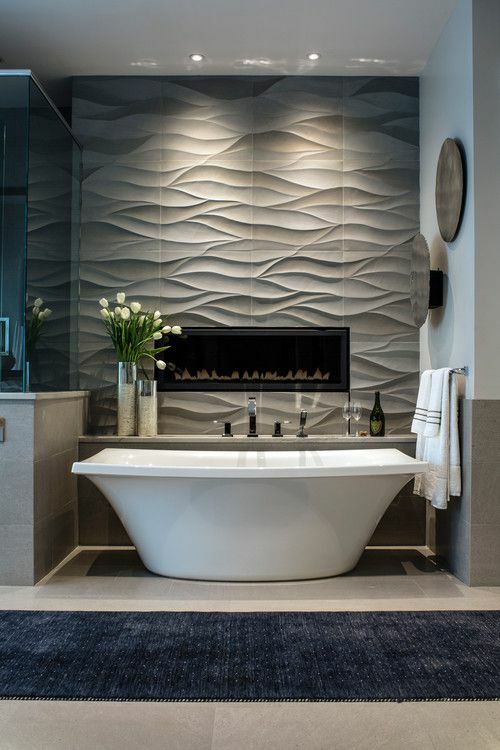 A textured wall reminds of the mountain environment of this gorgeous master bathroom. A contemporary freestanding tub in an unusual shape adds to the luxury. Indulge in your feminine side in this all-white bathroom, with just a touch of rose. The warm faucet finish and mosaic marble tile add to the elegance.